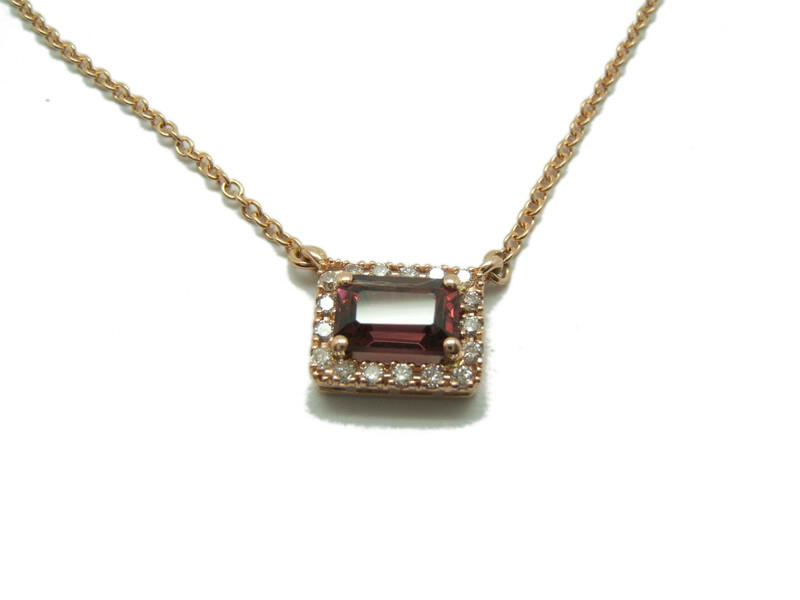 Pretty necklace done in pink Gold with a "Rhodolite"central and a border of diamonds. Weight and measures of the Rhodolite: 0,92 carat weight and 6 X 4 mm measurement. Weight of diamonds: 17 brilliant cut diamonds with a total weight of 0.13 carats. Total length of the set: 45 inches. Total measurement of the pendant: 9 width X 7 height in millimeters. This necklace has been designed and produced by Jewellers "Master Craftsmen".